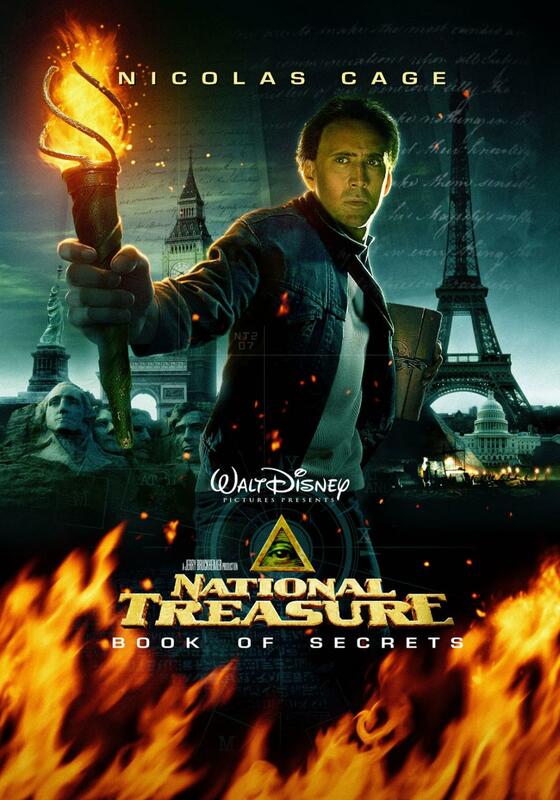 National Treasure: The Book of Secrets – Did You See That One? Benjamin Franklin Gates (Cage) is hoping to clear his ancestor from blame in the assassination of Abraham Lincoln. His first step begins with a note found in the diary of John Wilkes Booth. Now he’s on the hunt for answers that might only be found in a rumored Book of Secrets. 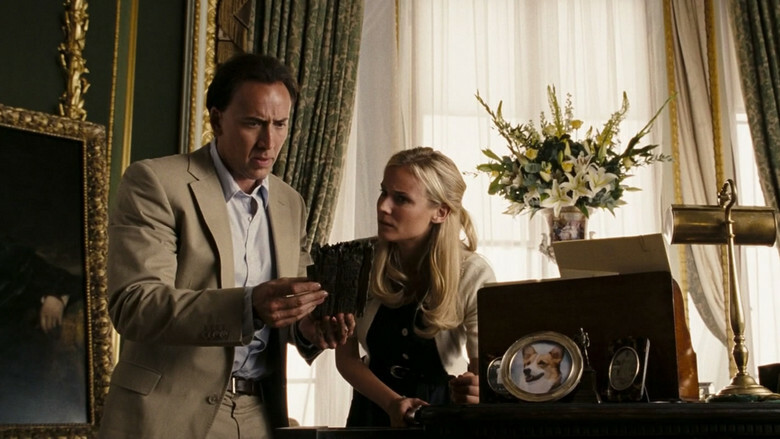 This movie is the follow-up to the 2004 hit film National Treasure. Marianne Wibberley (National Treasure) and Cormac Wibberley (Bad Boys II) wrote the screenplay, and Jon Turtletaub (While You Were Sleeping) returned to direct. These three aren’t the only familiar faces from the first film. Nicolas Cage (Moonstruck), Justin Bartha (The Hangover), Diane Kruger (Troy), and Jon Voight (Four Christmases) all reprise their roles from the first movie. 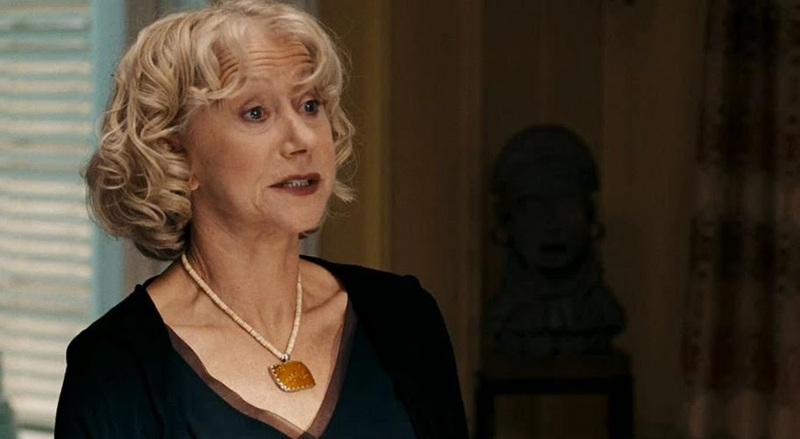 This time the film adds a few new faces, including Helen Mirren (The Debt) and Ed Harris (The Rock). 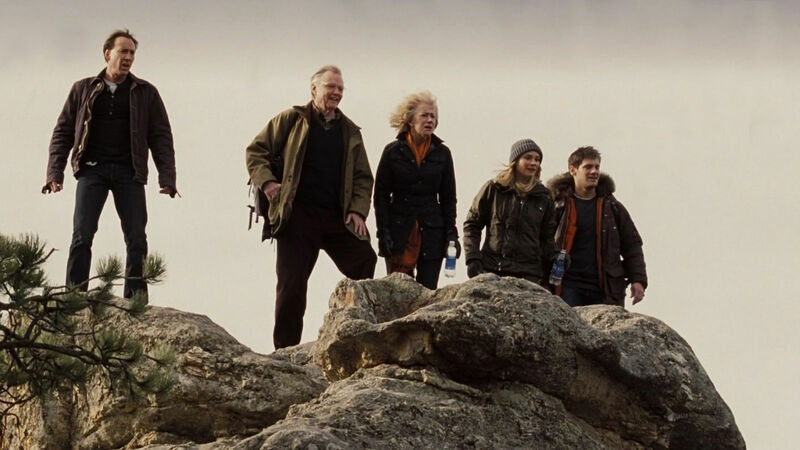 This is a fun movie that works just like you’d expect from a Disney family adventure film. Like the first movie, this one is filled with improbabilities and outrageous leaps. Despite this, it still entertains and works almost as well as the first one. Unfortunately, this movie seems to lack the charm that came with the original story. The Book of Secrets doesn’t quite connect as well as the well-known Declaration of Independence. In addition, the story plays with the relationship angles of the characters far too much. This unfortunately muddies the water when it comes to being able to connect to the characters. The dialogue is a bit over-the-top, but like the rest of the writing it does a decent job. I’d say that this is a workable story, but misses more than it hits. The acting in this movie is much like the story, good but far from memorable. The writing really takes away from the actor’s ability to bring this story to a higher level. Instead they’re left with a lot of awkward moments that don’t always benefit the story as a whole. Cage, Bartha, and Kruger are a nice team, and the chemistry is still there. Unfortunately, Voight and Mirren have roles that don’t allow them to succeed. Ed Harris is a nice villain in this one, but again the writing seemed to handicap his ability to bring out anything special. I guess this cast did the best that they could with the weak script. Like the film overall, this one is an entertaining but forgettable romp. Like the first film, this has some cool visuals and creates some unique settings to play out the fictional history behind the plot. For a family adventure film, this works just fine. It’s got enough action to keep it moving pretty quickly, but still runs over two hours. If you’re looking for much more than a little fun, you’re going to be a bit disappointed. I think fans of the first film will enjoy this. It might also work for the die-hard fans of the stars. I give this one 2 out of 5 stars.